Work for SAP Business ByDesign? I just like that upon login, that I see Tiles to choose from, but they aren't usable whatsoever to me, what's the point? I don't like that when I login to enter my time, in My Launchpad that I need to hover over the Home icon - -> Self-Services Overview - - > Scroll down to Edit Time Sheet, then I finally reach my screen to enter or edit my timesheet. It is very cumbersome to navigate and not intuitively designed or laid out whatsoever. I wish I can create a icon for "edit my timesheet" and make that a "Tile" and have that as one of my direct tiles so I get their directly upon logon, wouldn't that be swifter and smarter? I use it exclusively to log my time in for work every week. The only thing good I could think of is it is cloud based. Nothing else about this software is worth even saying it is good. It's slow and crashes all the time. The business logic is terrible and configuration is a nightmare. It's not intuitive. The marketing hr and service sections are useless. Worst software ithink I have ever dealt with. Sap by design creates problems it does not solve problems. I have realized that there is no worse software out there. I liked the look of our website while we used ByDesign. The real-time figures were nice to see as well on the back end of the business page. The eCommerce site was very pleasing to look at. The functionality of the eCommerce site was rough. When we had problems it took forever for them to fix them, or they never did fix them. Our direct sales company switched to use ByDesign after we had tremendous growth. The switch was horrible, we didn't last long on the program before we switched back to our old system that got re-vamped. It might be a great program for your business, it just wasn't a good fit for our company. The idea of it was pretty decent, but the actual roll-out and usage of it was seriously lacking. "Perfect ERP for Professional Services"
I run the entire business from a dashboard. I can identify problems in real time and drill down for root cause analysis. Not enough integration points to provide access to third party applications. - Tracking consultants utilisation across projects. "Great product for accounting "
The ability to customize the software to your needs. The ability to complete my daily tasks on this software. The ability to run reports and export them to Excel. There is a learning curve. It takes a lot of training and practice to get used to the software. Meets our companies needs. You will have to try it to see if it meets yours. The ability to run reports. The ability to enter invoices, post them, create Po's and match invocies against them. The ability to do bank reconcilliations, enter visas and expense reports, etc. "Medium sized business utlizing ByD"
ByDesign is a cloud-based software that is easier to run than full SAP. As a medium size business association, the software offers enough diversity to be useful, without having to invest and struggle with the SAP. Customization of modules and screens is somewhat limited. Quite often you encounter a bug from an update they made to the system and get error messages. We have automated several processes throughout the company by using ByD. It has helped alleviate lots of manual spreadsheet tracking. "SAP Software Is Always Better." 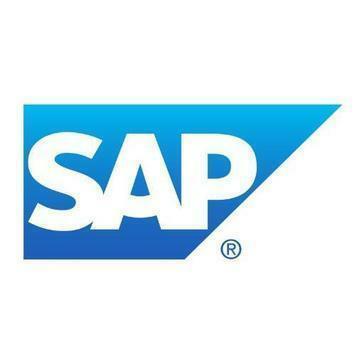 SAP has very different kind of products but this one is one of the Best as it comes in cloud which reduces the infrastructure cost and time to implement and also it has both ERP and CRM. which i can find very useful and rare in the other software. and SAP is one of the best customization. and also good features like auto billing and utility billing which helps user to keep track of the bills and all the other standard modules as well. SAP software are slow compared to other software and this one is not exception. and the implementation process and training manual is also not good.and the customization SDK is not good as well since it does not have detailed documents of modules which make hard to find methods for the developers. Do you research. Make sure your processes are in line with supporting an ERP. Ask yourself if your business is ready for ERP. If so, look at SAP. It is not just for big companies. It is for your company. We have Used this system for the ERP system to maintain the clients and customers and make the organization connected. The interface is very user friendly. The program is capable of tracking many things and the reporting is presented in a fashion that is clear and concise. It is hard to see what might be possible when you don't have full access because you can't see it. "SAP Business By Design used on a day to day. " SAP Business By Design provides me with information I need to work on a daily basis. Invoicing and downloaded reports is convenient and easy. Information is stored and easily found if needed in the future. By Design is not very user friendly. The program is challenging at times and doesn't provide help. The help center could be more detailed. SAP Business By Design provides me with reports that help me with day to day operations. By providing detailed reports I am able to analyze and get lots of information. "True cloud ERP - SAP Business ByDesign"
Honestly, I can't begin to say enough good about SAP Business ByDesign. It is a true, standalone robust ERP solution that runs completely on the cloud. It is constantly being innovated, so that functionality continues to meet the diverse needs of the mid-market. As with every cloud-based solution, specific customizations are tough. Because of this, people need to fully explore what is available out of the box. SAP Business ByDesign is absolutely the best cloud-based ERP offering. The functionality out of the box is robust and does not require 3rd party applications to meet the needs of diverse companies. Real-time visibility into financials, marketing campaign tracking, project accounting and project management, and overall better financial management. "ByDesign - Great integrated ERP solution for Small to Mid-sized companies"
ByDesign is a solution that can be implemented in months, instead of years. It provides a fully integrated solution across all aspects of the business and the price was competitive. I liked that it was a cloud solution with mobility. I can use it where and when I need to with any internet connection and know its secured by a reliable company. I can easily change my focus on what I am working on with the dashboard and project tabs. I am able to write any report I need for my job and save them for later. I like that they come in real time information so I don't have to update my reports. I like that I can find the information I am looking for quickly when I need it. The solution can do everything except print the checks for employees. SAP Business ByDesign is best when looking to replace your silo'ed solutions and move toward a more integrated ERP solution. Consider the cost of replacing multiple solutions for a single integrated one. If you can afford to make the shift this is a good solution to look at. I have realized the benefits of automation in our internal processes as opposed to manual entry and duplicate entries. It allowed us to focus on the core aspects of our business rather than trying to write reports we didn't already have. It allowed for us to avoid the miscommunication of Silo'ed solutions. It gives us the ability to grow into more functionality if we need to and add users. This will be a solution that will be around for a long time and we will be able to continue to use this solution as our company grows. The user interface by any browser allows me to do my tasks anywhere.. Sometimes the performance to access some screens is too slow. The ByD is our main ERP system which controls many departments in our company. "It works to help monitor production"
It does not do everything I need it to do well. Serialization and tracking of revisions still has to be done with other software. It works there is better software out there, but the price point for this is good. Tracking production, purchasing, billing, time keeping and QA. Enough functions for small to mid company. Public and private SaaS options are available. On the other side of enough and many customizable functions, sometimes functions are too much for simple company ERP implementation. If you're looking for SaaS and functionable ERP, SAP Business ByDesign is one of good choices. In addition to SaaS architecture, there are many customizable functions. Out of the box o=configuration for most of the standard configuration. The CRM capabilities are functionally sound, but can be very tough to navigate. After working with Salesforce and HubSpot, ByDesign is very tough to work with. The interface is not user friendly, transitions aren't smooth, and information is not easily accessible. We are trying to manage all vendors and clients through a singular platform and can do so across all functions using ByDesign. Consider how much money you have for consulting work. Almost everything we've done has needed consultants and its been difficult to get direct support from SAP. Not many users have advanced knowledge and have had to reduce requirements to get the system to work for them. "SAP BY Design review for TImesheet"
"You need to take advantage of personalization to enjoy the product"
"Used it for a small client"
It is very difficult to support & it doesn't offer that much functionality that makes it worthy of the price or the support burden. It requires the database application on each client, which is a poor way to do it. It is very sluggish. Learning about SAP Business ByDesign? * We monitor all SAP Business ByDesign reviews to prevent fraudulent reviews and keep review quality high. We do not post reviews by company employees or direct competitors. Validated reviews require the user to submit a screenshot of the product containing their user ID, in order to verify a user is an actual user of the product. Hi there! Are you looking to implement a solution like SAP ByD?